Been playing with the texture paint brushes again...and sharing the result! Nice! You've got a very distinct style. Did those bubbles just move? 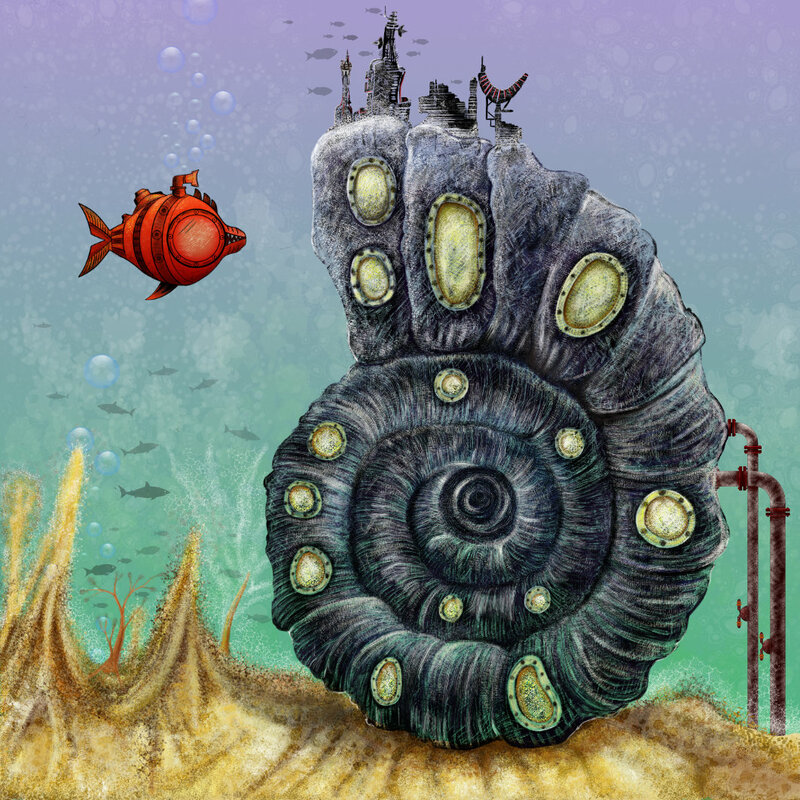 Looking at the red fish, it's less Finding Nemo and more Finding Nautilus! Looking at the red fish, it'd less Finding Nemo and more Finding Nautilus! Yes the bubbles did move!...I used them on the inktober:sword drawing [06:Sword]...+ a bit of reordering. 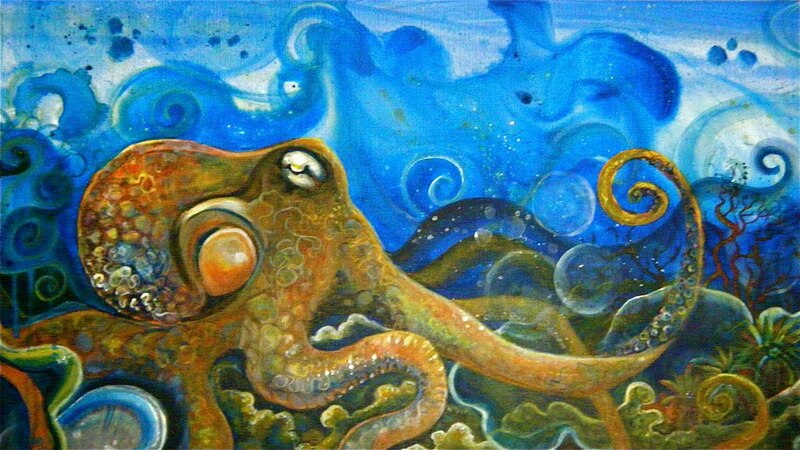 If you like Starry Starry Night by Vincent Van Gogh and other cephalopods, then you should like this piece by Colleen Wilcox that I just found. I didn't know Vincent Van Gogh was a cephalopod!! Think how quick and easy, all those swirls would be with a brush in each tentacle!